PropertyFinder.ae is the leading property portal in the UAE, displaying perfect property picks for every user. They list properties from different agents in one place, both for desktop and mobile. PropertyFinder Group has over one million users monthly, generating over 300,000 leads for agents and developers. Over the past ten years, they have quickly become the leading real estate classified website in the UAE, Qatar, Bahrain and Lebanon and are growing in popularity in KSA, Egypt and Morocco. User-generated content is both a blessing and a curse for your ad campaigns. Having user sellers and buyers grants you unlimited creative resources and a live product range, but creating ads that would be on par with the live updates of your product listings is a challenge. How do you avoid advertising sold out items without manually taking them out of the feed? Your users upload products, sell items and keep your website constantly updated but new listings does not equal new ad creatives. How do you make sure that your campaigns aren’t trailing behind and all of the images look ad-perfect if your website content is changing all the time? 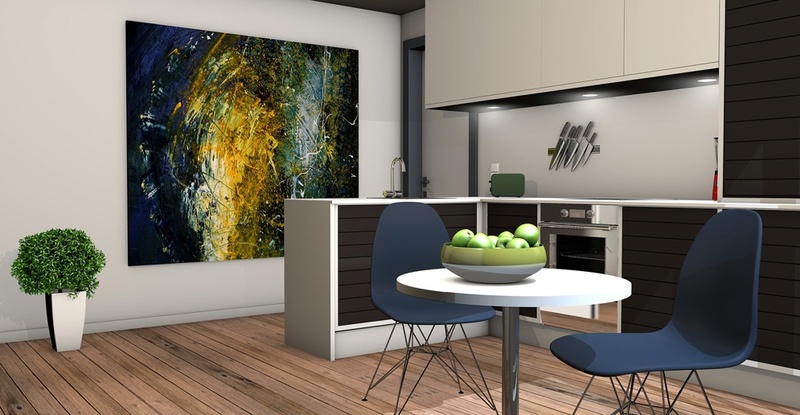 Challenge accepted: using the ROI Hunter platform a real estate website Property Finder adapted to the constantly changing list of properties, conquered a longer conversion funnel and received the perfect solution for automated image-editing. Too Many Assets, Too Little Time – similarly to e-commerce companies, a platform with multiple brokers and hundreds of properties has too many assets to promote manually. Careful Conversions – user behavior, however, is very different from e-commerce as the final conversion decision requires extensive consideration. Real-Time Problems– having to include all available options instantly in order to give their customer an access to products listings with fresh additions required adjustments through cross-selling and up-selling campaigns. A Fluctuating Feed– since property availability was changing every hour, the feed had to be updated just as frequently in order to prevent driving users to unavailable pages and with over a thousand conversions daily manual optimization was no longer acceptable. Format the feed – with ROI Hunter’s Feed Manager Property Finder was able to tweak their product catalog according to Facebook requirements using right tags and a naming convention. Make images look good – images sizes did not meet Facebook placement recommendation before, affecting CTRs, leads and CPL. ROI Hunter’s Template Editor helped Property Finder edit images in bulk via product catalog, creating perfect resolution and size formats for different Facebook placements. Automate new user acquisition – ROI Hunter’s Dynamic Ads for New Customers allowed Property Finder to target people similar to those who had already visited their website and grow the number of leads at a much lower Cost Per Lead. Re-market precisely – using ROI Hunter Property Finder set up re-targeting campaigns showing users the exact property they have viewed before and increasing the number of leads. Up-sell and cross-sell – Property Finder’s users now have a wide variety of options to pick from, further growing the number of leads. Manage all tools from one place – ROI Hunter linked Facebook ads to Google Analytics & Appsflyer, helping Property Finder measure success in real time, optimizing live campaigns and ensuring better CPL – all from one place. 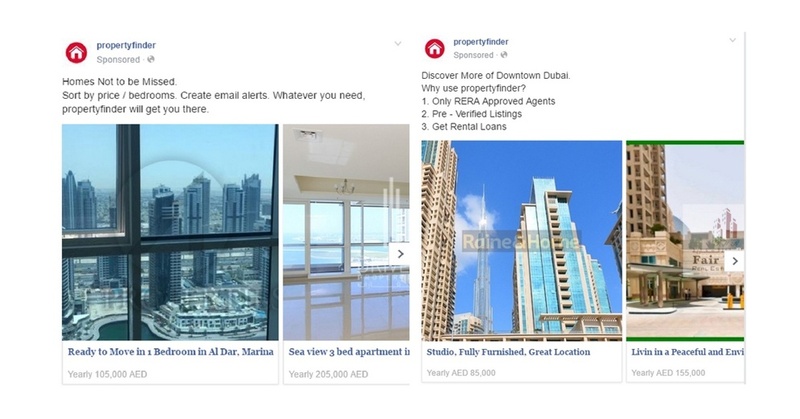 "PropertyFinder.ae increased the number of leads and improved its advertising performance dramatically. Together with Facebook Marketing Partner ROI Hunter, it took advantage of dynamic product ads, Prospecting Dynamic Ads, Lead Ads and WCA. Through dynamic product ads, we increased our number of leads to 137% compared to classic prospecting campaigns"